Cranberry Red and Crystal Earrings. Festive Earrings. Dangle Earrings. 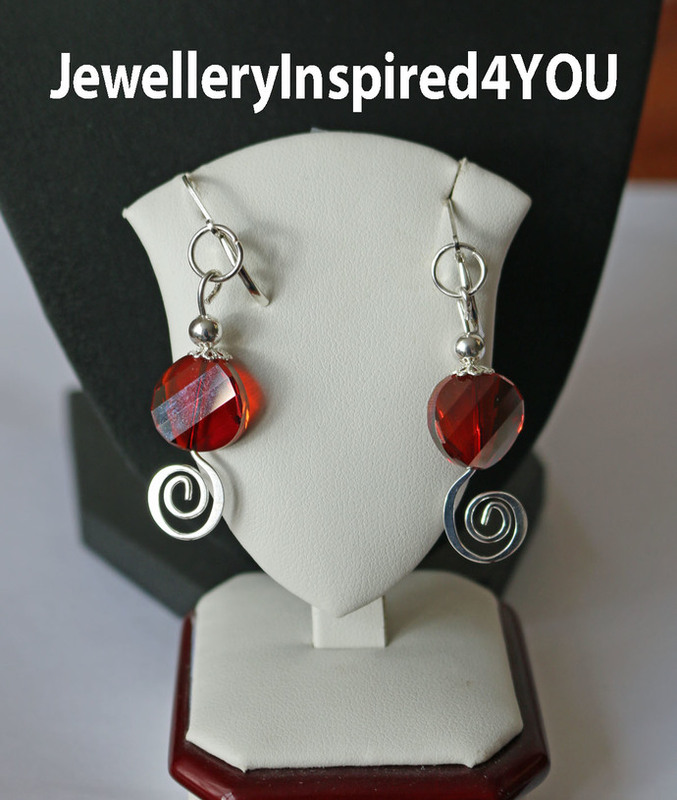 The rich red of these earrings is showcased the spiral 925 Spiral stamped ear wires, with complimenting tiny silver beads. 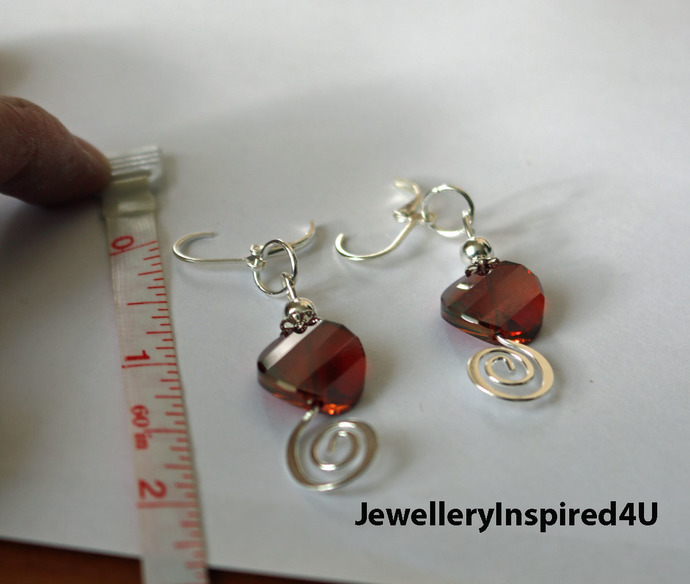 The dangle earrings will adorn that special dress or outfit at your favorite party. Beautiful in design in simplicity with oval shapes. The red crystals are slightly opaque allowing the light so shine through just a little. Light in texture, these are not fragile, as the 925 spiral ear wires give it structure. The lever back ear closures are hypoallergenic and nickle free for your wearing and comfort level. The problem with sensitivity is that nickle metal is usually added to most costume jewellery to give strength as silver is 92.5 pure. I only use the purest of elements in all my designs so you don't have to worry. This is the last set. These are self closing so you don't have to concern yourself about losing your precious item. My hands guided this creative work to ensure you of pristine quality and craftsmanship. Make a festive statement this holiday season! Beautifully presented in a jewelry box for gift giving or simply keep this one for yourself. Each items is carefully packaged and wrapped in a bubble mailer for the safe arrival of your precious item. Thank you for your patronage, it's been a pleasure.